Wholesome breakfast accompanied with a glass of fresh fruit juice, buttermilk or anything of your choice. 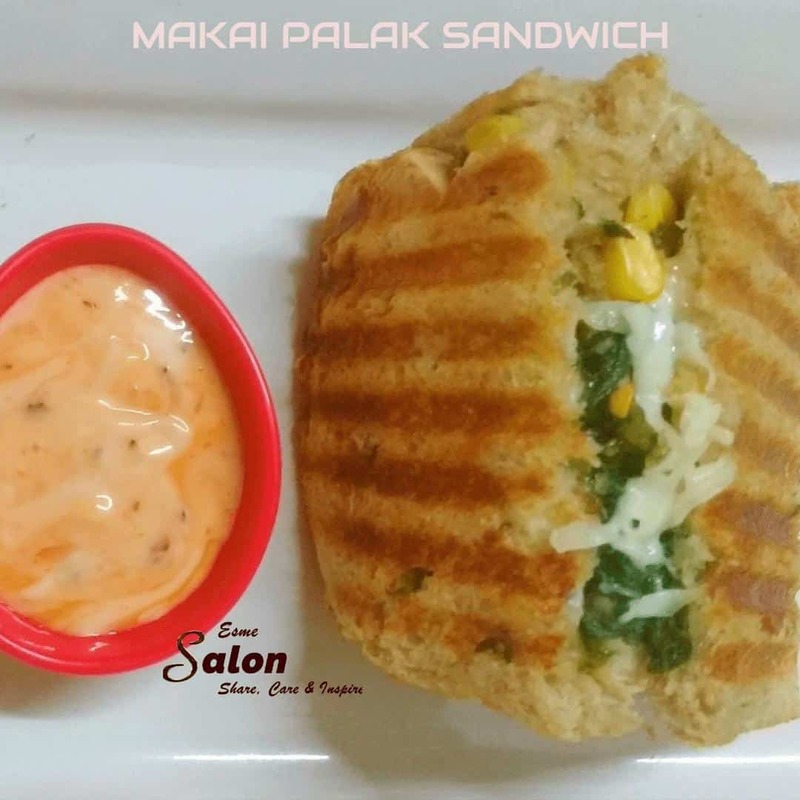 My non-Indian friends may name it as Spinach Corn Sandwich. Healthy & Delicious. Wash and chop the spinach and keep in a strainer so that extra water is drained out. In a pan add olive oil and just after heating a little, add butter. The oil will save butter from burning. Stir a while and add spinach. Stir till they are wilted. Add black pepper and cook until the water dries up. Taste the salt level because spinach has salt in it and it requires a little amount of salt in cooking. So add salt and sugar after tasting. Add dried herb and switch off the stove. Take bread slices and apply butter on the outer side of the bread which will be grilled. Fill the spinach stuffing between two pieces of bread and grill it. I did it in a toaster. Enjoy it with your choice of dip.